As new court cases show miscreants exploiting people who need help with Visa or migration applications, Australia has issued a warning against them. Sentenced to 14 months’ jail is an Albanian citizen in Melbourne while a previously registered migration agent is facing up to an imprisonment of 10 years after pleading guilty to numerous offences related to fraud in Sydney. Department of Immigration and Border Protection’s (DIBP) Assistant Minister, Michaelia Cash said that these sentences show that the penalties for obtaining permanent residences or visas fraudulently in Australia are not worth the risk. She added that DIBP takes migration fraud allegations very seriously, and the courts and the department will act against people who attempt to defraud Australia’s migration programs. Vjollce Marashi and her husband Albanian Jani Vata faced charges in the Magistrates Court of Melbourne for using various false identities in the applications for Australian passports, visas and citizenship. Jani Vata was sentenced to jail for 14 months. Xiao Ying Wu (Amy Wu), a former Chinatown-based registered migration agent at Sydney Downing Centre District Court pled guilty to various offences of fraud including deceiving previous clients who were in need of visa application assistance and using forged correspondence from the department. 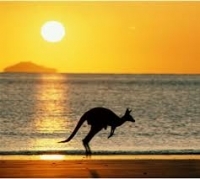 Cash pointed out that according to the law, Australian migration agents are required to be registered with the Office of the MARA (Migration Agents Registration Authority).